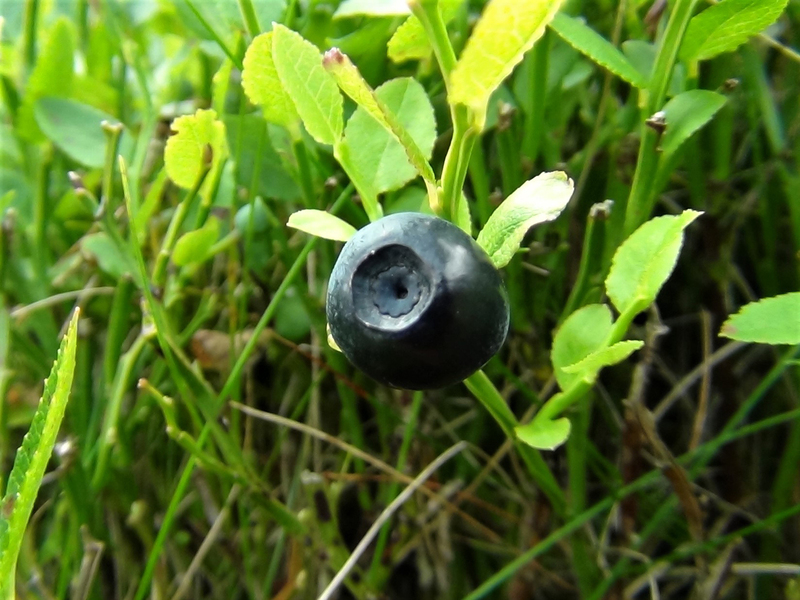 A delicious bilberry with the 'cogwheel' at the end. 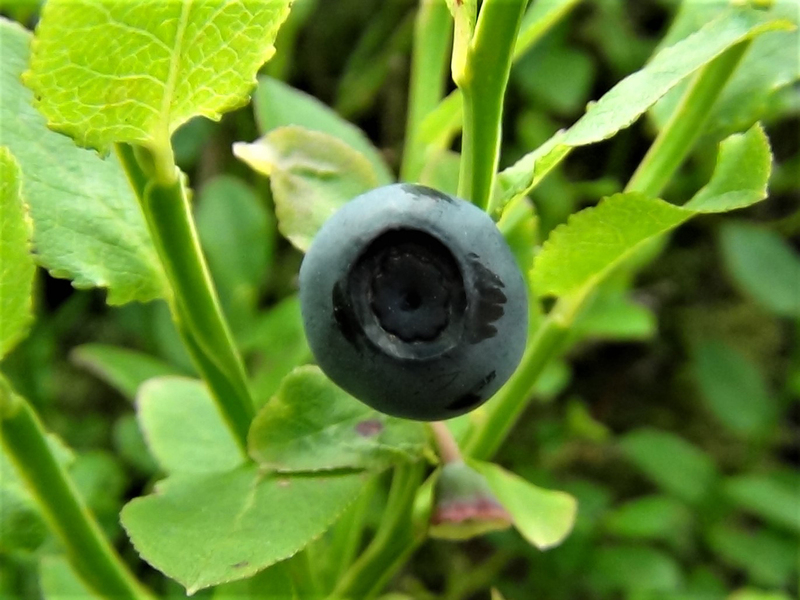 Bilberries are very hard to gather in large amounts, not due to their size or quantity but because they taste so good we haven’t managed to leave a Bilberry spot without all our pickings being eaten and, it appears smeared all over our faces and hands. 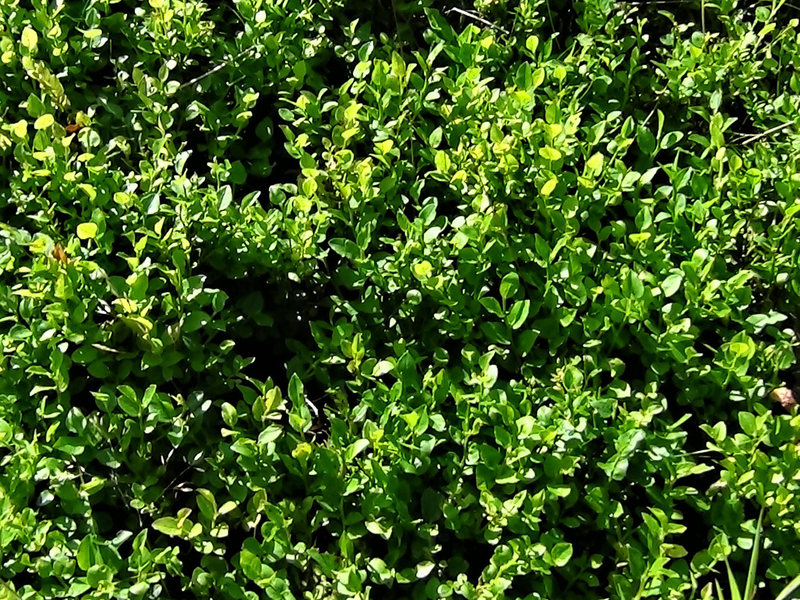 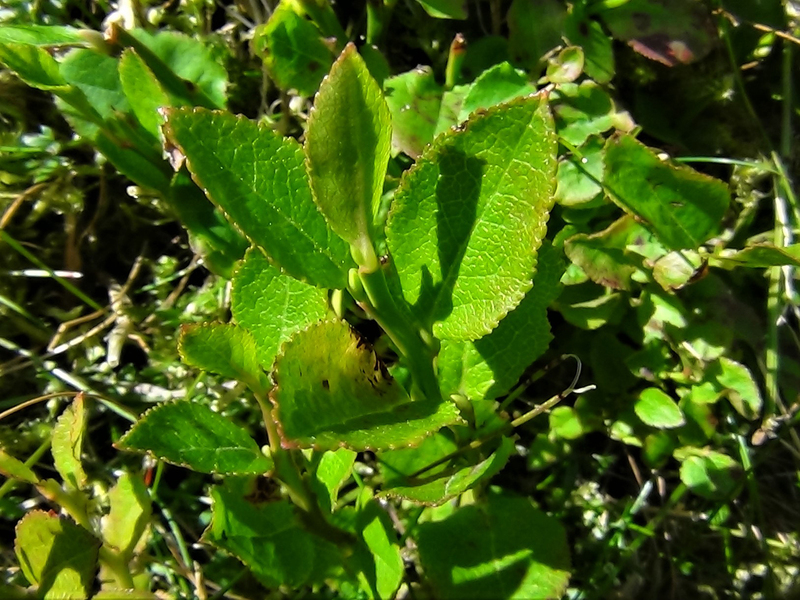 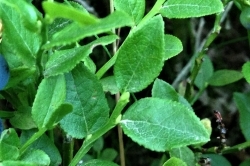 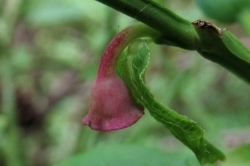 Small, ovate, shiny green slightly toothed leaves, often red or with red areas. 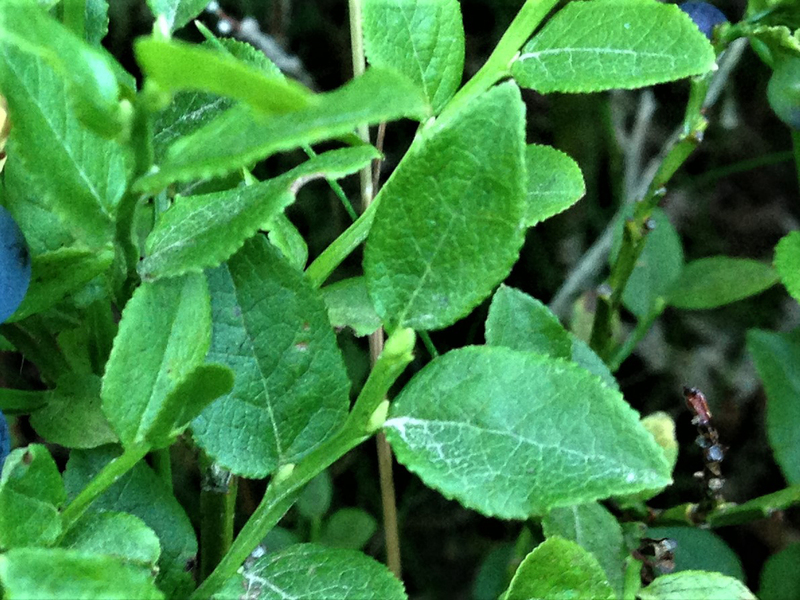 Has tiny delicate pink/red flowers looking a bit like small unripe berries. 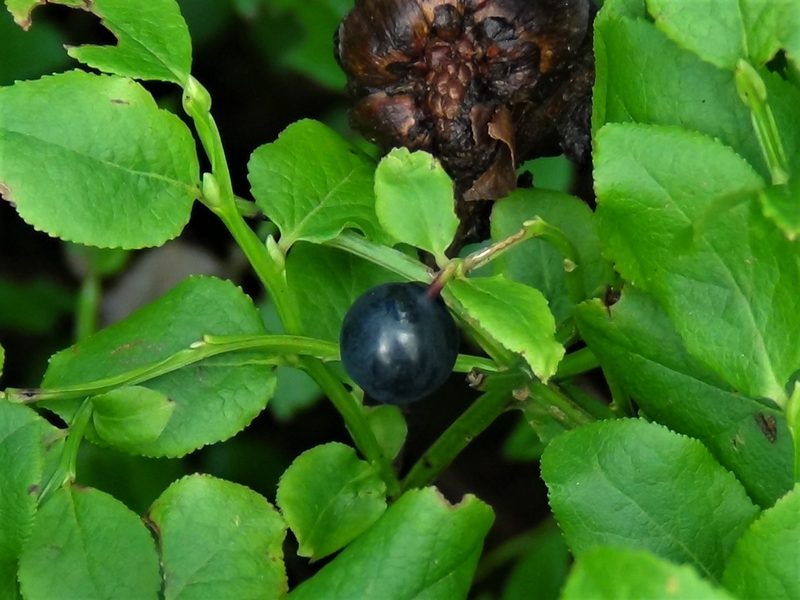 The berries are very dark blue, almost black with a white ‘bloom’ that can make them appear lighter. 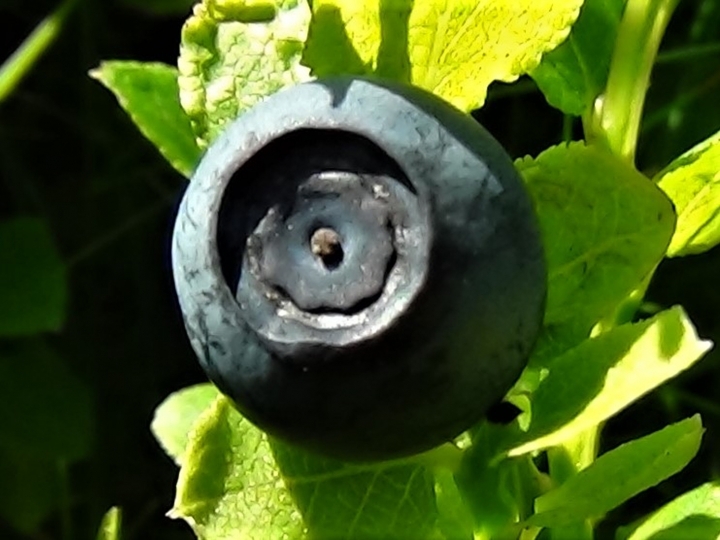 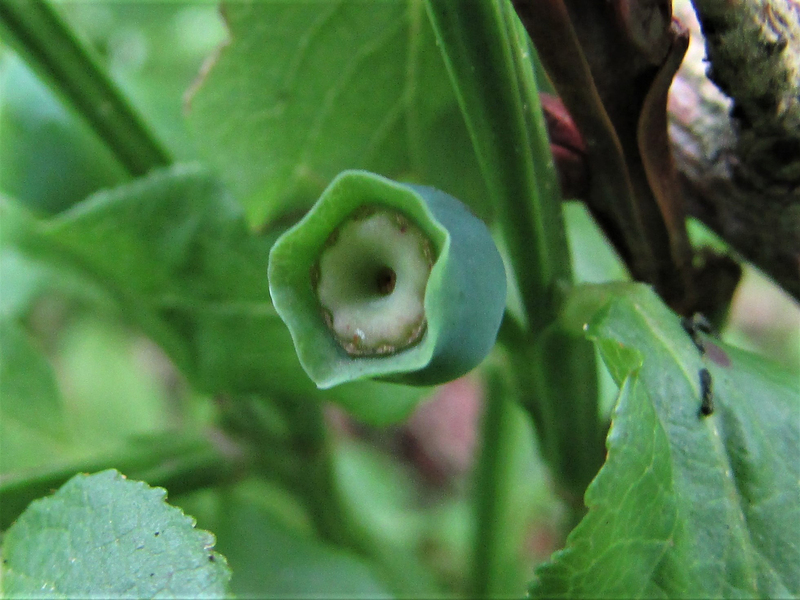 There is often the remains of the flower surrounding a tiny ‘cog wheel’ on the end of the berry. 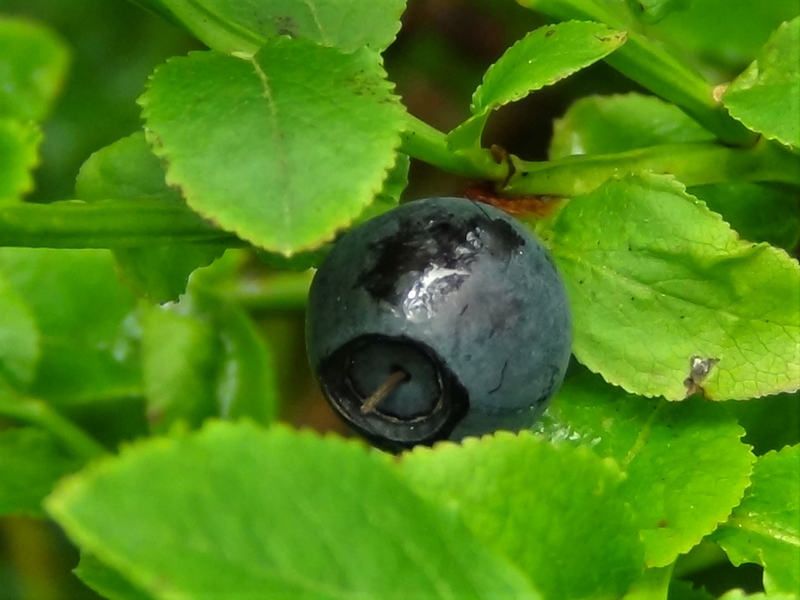 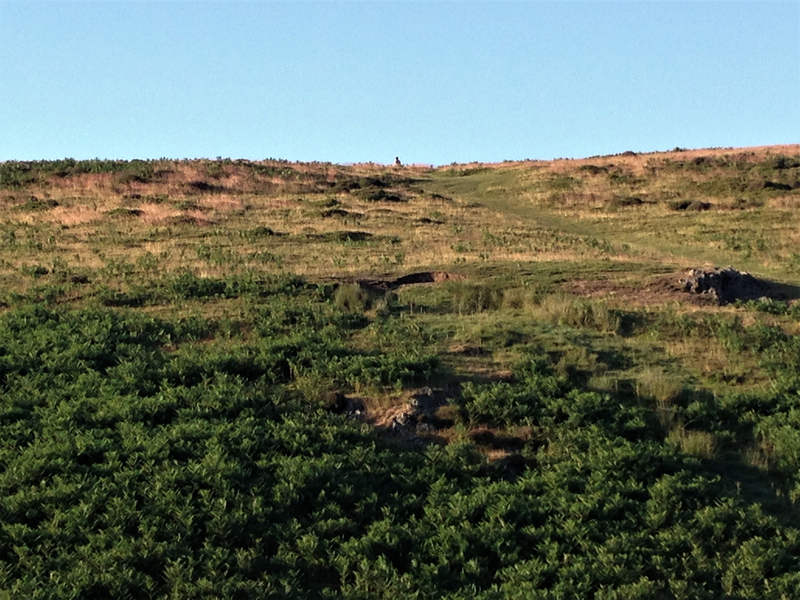 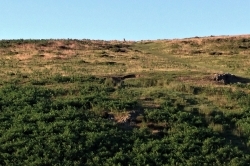 Heaths, moors and some woodland, the Bilberry prefers acid rich, nutrient poor soil. 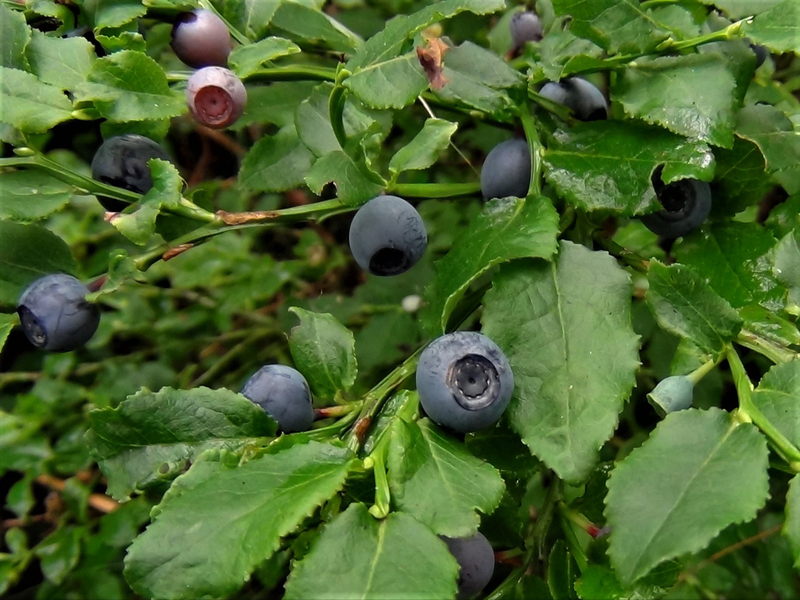 When the berries are out, combined with the leaf shape, it is difficult to confuse this plant with other heathland species. 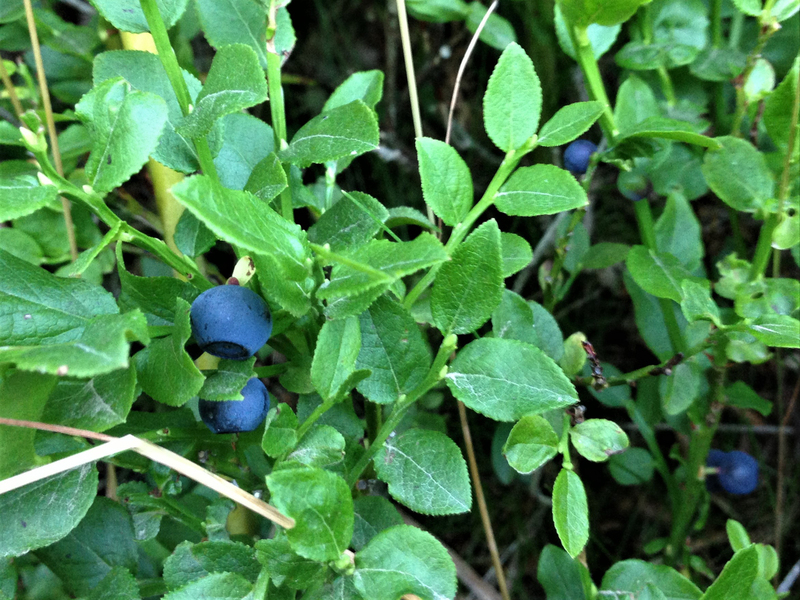 Wonderful, like blueberries but with a deeper, richer flavour. 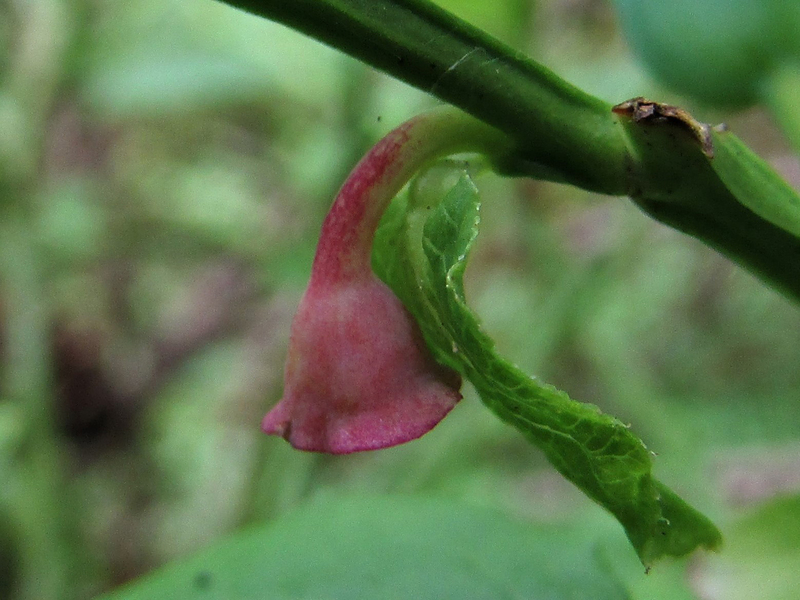 Fairly common in acid rich woodland. 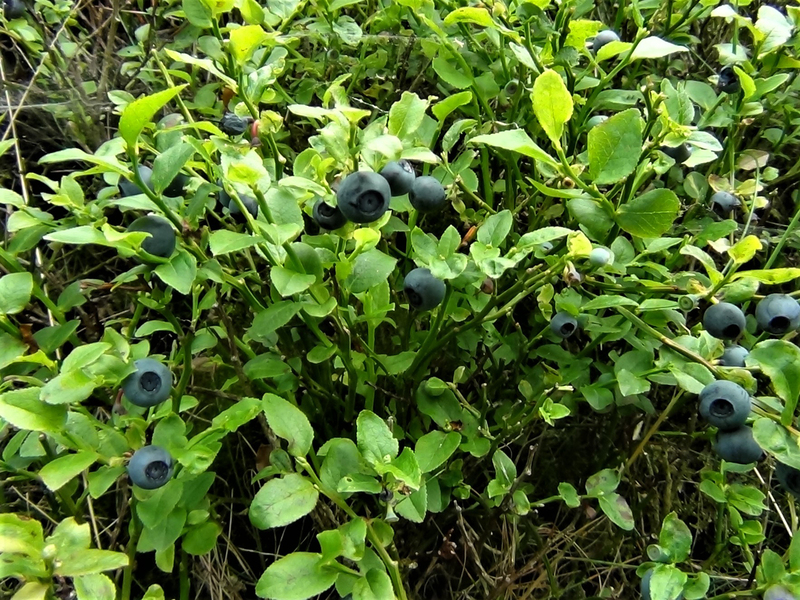 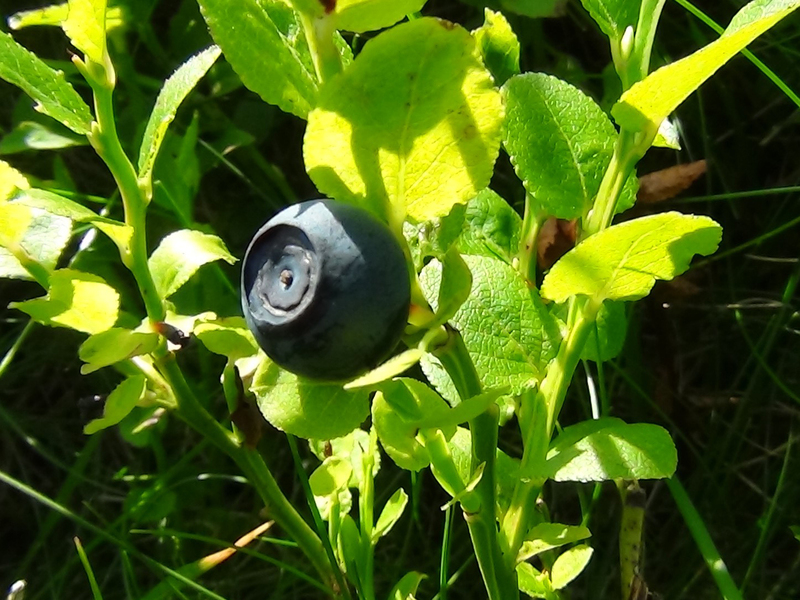 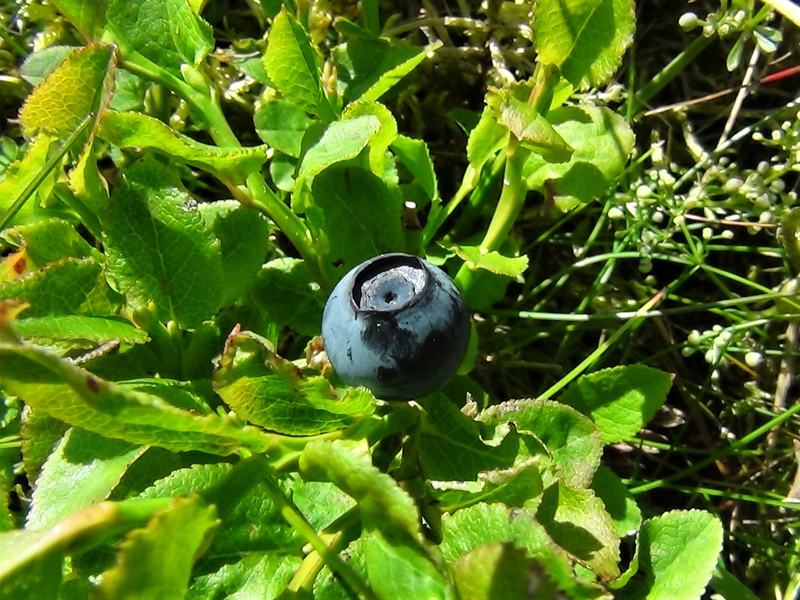 It is traditional to start collecting Bilberries on the last Sunday in July or the first Sunday in August, depending where you are in the UK. 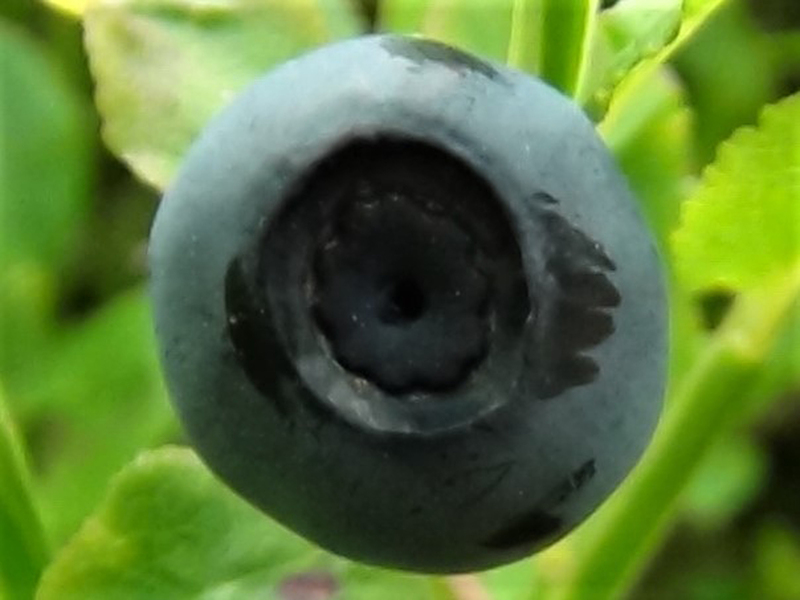 There are reports of the RAF using Bilberries to help with night vision during bombing raids but this appears to be a story linked to carrots which were said to be used by the RAF in an attempt to conceal the fact Britain had radar. 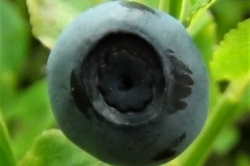 That said Bilberries have been used for different eye treatments through the ages. 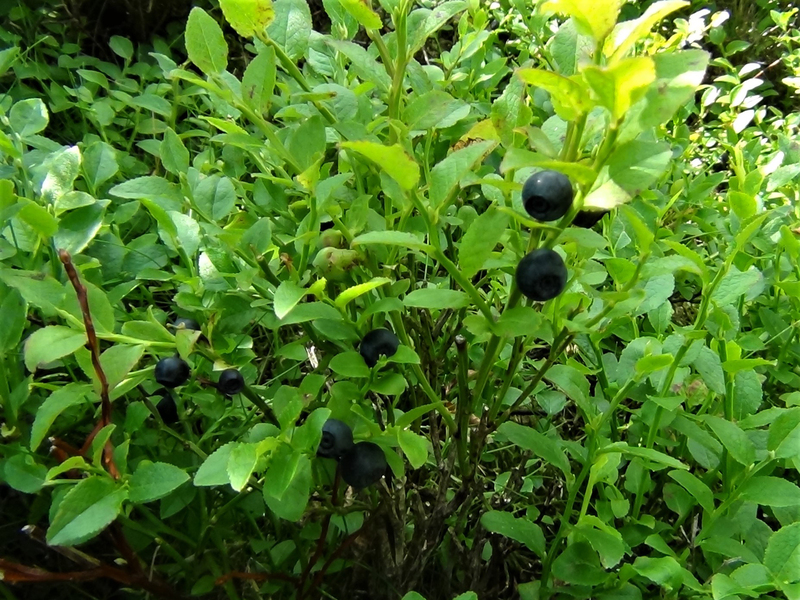 The plant has also been used to treat chronic fatigue, gout, hemorrhoids, diabetes, urinary tract infections and osteoarthritis.